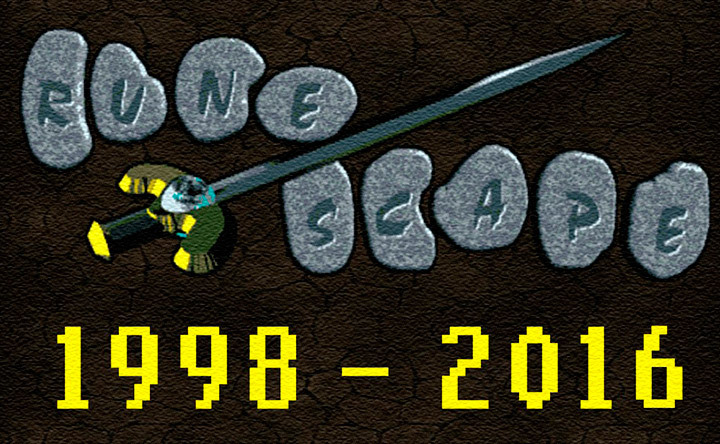 You can use any world that you like to play RuneScape (with the exception that only members can access members' worlds), however, there are some activities players like to do in certain worlds and other activities that can only be done in certain worlds. We've assigned these activities to certain worlds to make it easier for you to find like-minded players. In the world list below, the activities in white text shows those worlds we suggest for player activities - e.g. trading, minigames, rune running, etc. You don't have to do these things in these worlds, but you might find it both easier and more enjoyable to do so - imagine a game of Castle Wars with over a thousand other people! We've matched these up with what players were already doing in these worlds. For these suggested activities, if you find that the listed world is unavailable for some reason, feel free to go to any other world - you can still do these things in any world you like. If you can't find other people doing the same things, please check the Forums; many players post threads explaining which worlds they like going to. The following list shows those worlds with suggested and dedicated activities. 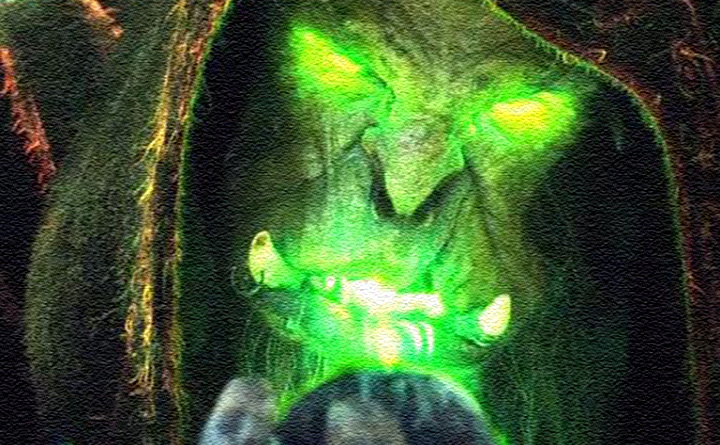 RuneScape has over 180 quests, and for lots of players they're one of the main attractions. If you enjoy working with others to solve puzzles and getting advice as you go, you might enjoy going to a group questing world to work through the quests. Members have access to the Construction skill and can build their own houses. It's quite common for people to celebrate achieving their goals by hosting a party in their house. LootShare is a game feature that can only be used in certain worlds. It is an addition to the Clan Chat system, giving you and your fellow clan members a way of distributing the drops you get from NPCs. Many players enjoy RuneScape's fantasy setting and engage in 'role-playing' to increase their enjoyment. If you're in a role-playing world, you'll notice people speaking differently and behaving in a different way - it's all to create an atmosphere of actually being in a fictional world, rather than playing a computer game. 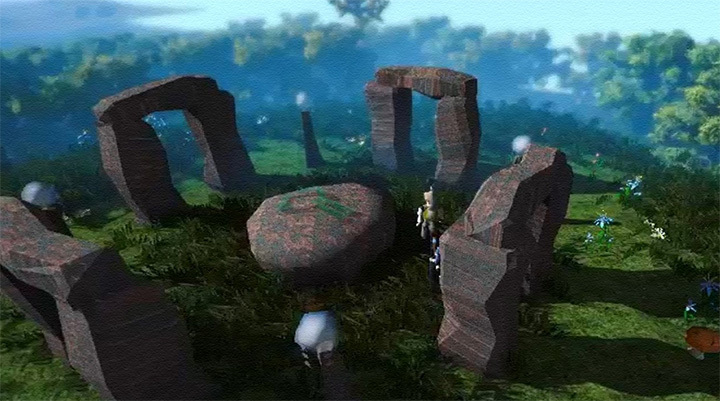 Worlds designated for 'rune running' are where players either stand at a Runecrafting altar or run between the altar and a bank to bring rune essence. The runecrafters normally do this as a way to get a lot of Runecrafting experience very quickly using the Assist System, while the people bringing the essence get to keep the runes. Many groups of players like to speed this up by wearing specific clothes to identify each other, so it's a good idea to read the Forums to find out what you should be doing. 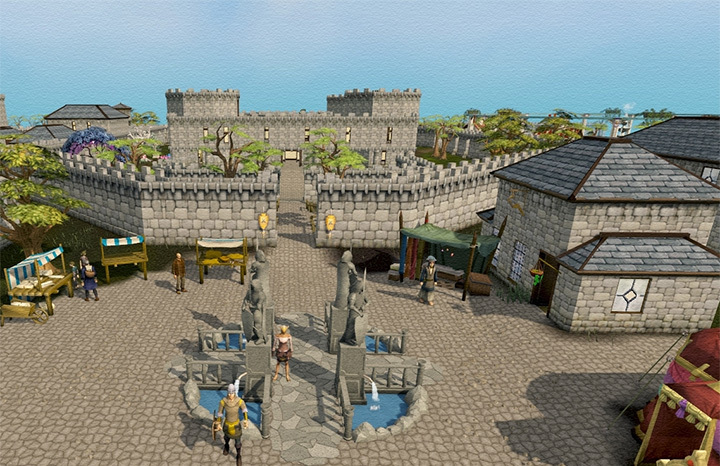 Players frequently gather in the larger cities of Falador and Varrock to trade items and resources. If you need to buy a huge quantity of basic goods or a single piece of Barrows armour, you may well find the best deals on a trade world. You can also use the Grand Exchange to trade with anyone on any world, without even needing to be logged in for your trade offers to be completed! 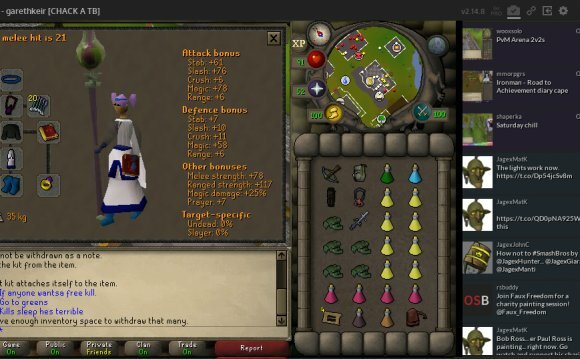 Skill total worlds can only be accessed by players with a skill total of 1, 500 or above. To find out your skill total, look at your Stats interface in-game, or look in your Adventurer's Log.